MONDAY, Oct. 30, 2017 (HealthDay News) -- Opioid addicts saved by the overdose reversal medication naloxone are still in danger following their close brush with death, a new study shows. About 10 percent of overdose patients saved with naloxone (Narcan) in Massachusetts hospitals ended up dying within a year, Harvard researchers reported. Further, half of those who died did so within one month of their rescue, the investigators found. "The opioid overdose patient who sobers in the hallway, is offered a detox list, and then is discharged has a one-in-10 chance of being dead within one year, and their highest risk is within the first month," said lead researcher Dr. Scott Weiner. He is director of the Comprehensive Opioid Response and Education Program at Brigham and Women's Hospital in Boston. Patients saved with naloxone are very likely to suffer withdrawal cravings that could drive them to overdose within a matter of weeks, Weiner said. "Naloxone is not the panacea solution to the crisis," Weiner said. "Patients who survive opiate overdose need to be considered extremely high risk and should receive interventions like offering buprenorphine or offering counseling and referral for treatment prior to discharge from the emergency department." The United States is in the grip of an opioid epidemic. Since 1999, the number of overdose deaths involving opioids -- including prescription painkillers such as OxyContin and Vicodin, as well as heroin -- quadrupled. Ninety-one Americans now die every day from an opioid overdose. Public health officials have been pressing for the widespread availability of naloxone, which is the first approved medication for the reversal of an opioid overdose. But without follow-up care, patients saved by naloxone will remain addicted, experts warn. To assess the risk of death in these patients, Weiner and his colleagues combined statewide Massachusetts databases that track emergency medical services (EMS), insurance claims and death records. From July 2013 through December 2015, EMS workers in the state used naloxone nearly 12,200 times to treat a drug overdose, the researchers found. About 10 percent of those who survived wound up dying within one year of treatment, Weiner said. One-third of those deaths were directly attributed to opioid overdose, but prescription painkillers probably played a hand in many more than indicated, he suggested. "If someone dies from an overdose, first their breathing stops and then their heart stops, so you might have the cause of death listed as cardiopulmonary arrest," Weiner said. "If they don't code that it's opioid-related then we wouldn't capture that, so I think the opioid-related deaths are grossly underestimated in our dataset." The results were to be presented Monday at the American College of Emergency Physicians annual meeting, in Washington, D.C. Research presented at meetings should be viewed as preliminary until published in a peer-reviewed journal. A second study from the same meeting found that opioid abusers often are driven by mental health problems or demons from their childhood. More than half of 82 opioid abusers who underwent a psychosocial evaluation were found to have a mental health history, said lead researcher Dr. Krista Brucker. She is an assistant professor of emergency medicine with the Indiana University School of Medicine. The most common mental health problems were depression (21 percent), bipolar (12 percent) and post-traumatic stress disorder (10 percent). Brucker related a couple of examples from her own personal experience: a veteran who used heroin to calm his PTSD flashbacks, and a 22-year-old patient with severe bipolar disorder who used heroin because she doesn't have access to public transportation. "When she can't get her medications for her bipolar [disorder], her dealer shows up with heroin to help her mind stop racing a little bit," Brucker explained. More than three out of five patients also scored high on a questionnaire detailing childhood traumas, Brucker said. The questionnaire tracks childhood events such as neglect, sexual abuse, the incarceration of a parent or caretaker, and domestic violence, Brucker said. Nearly 61 percent of patients had a score of 4 or more on this questionnaire. "We know from other studies that patients with scores of 4 or higher on this scale are at higher risk for all kinds of diseases," Brucker said. The two studies show that opioid addicts are dealing with issues that need treatment beyond naloxone, the researchers said. "Once we save them, then we need to talk seriously about the next steps," Weiner said. 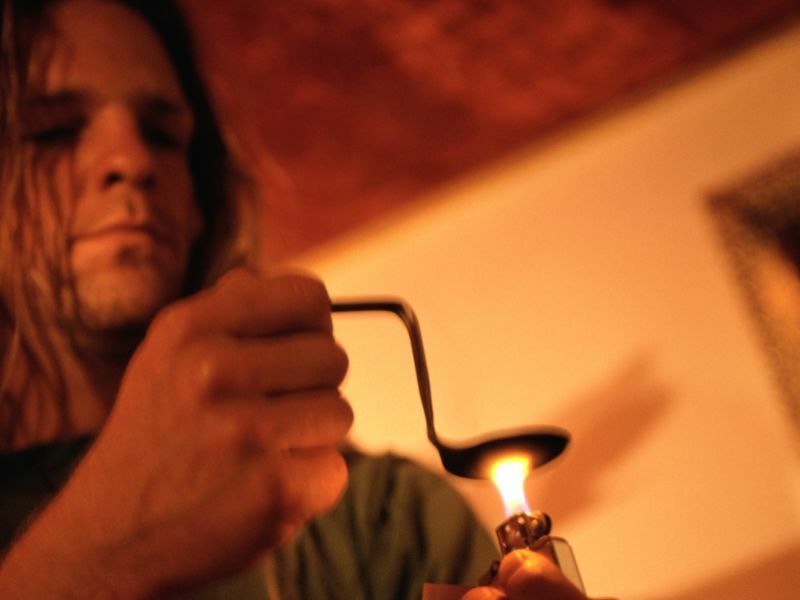 "There have been several innovative models where they actually start buprenorphine or Suboxone directly in the ED, and get people to not suffer the withdrawal symptoms that often make them leave and start using again," he added. "But even that's not enough," Weiner continued. "We need a follow-up system after that, a warm hand-off" between the emergency room and addiction treatment services. SOURCES: Scott Weiner, M.D., MPH, director, Comprehensive Opioid Response and Education Program, Brigham and Women's Hospital, Boston; Krista Brucker, M.D., assistant professor, emergency medicine, Indiana University School of Medicine, Indianapolis; Oct. 30, 2017, presentations, American College of Emergency Physicians annual meeting, Washington, D.C.